*This post is sponsored by Lava Soap. All opinions are 100% my own. There is something about Valentine Décor. Of course, it isn’t nearly as big as Christmas, but it’s so cheery. Maybe it’s because the house seems empty after the tree is down. But really, how can you go wrong with thoughts of being loved and loving others? As you know, salvage wood is HUGE around here. I really like the pallet wood hearts, like these. They are right up my alley so I used that as the inspiration for this garland. Plus, it upcycled a box leftover from Christmas. *Some affiliate links included to show like or similar items used. You can read our full disclosure HERE. And don’t forget the Lava Soap to clean up afterwards. Click here to find where to purchase and HERE to get a discount. Cut down the seems of one side of box. You will completely remove one panel/side so it’s easier to trace and cut out the hearts. Free from, or trace, a heart and cut it out. Alternate the cardboard to the opposite way to get the corrugated “ripples” (if desired) every other heart. Also, I varied the shape on the two different directions. The one with the horizontal corrugated lines was one shape/color and the vertical was a slightly different shape/color. Continue the process until you have the desired amount of hearts. 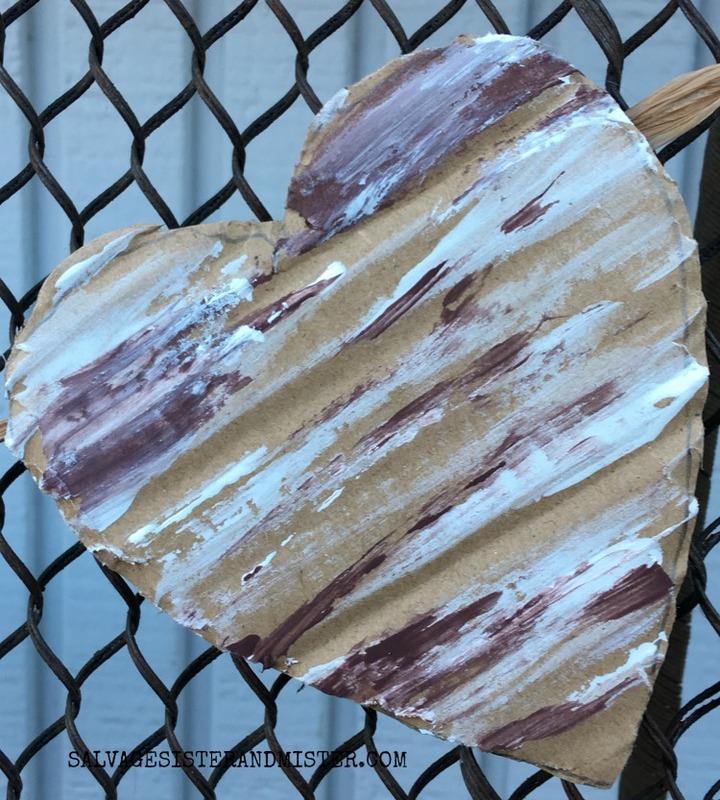 Take all the vertical hearts, white paint, scrap cardboard, and a paper towel. Place a little dap of white paint on your cardboard scrap. Dip paper towel into paint and test paint streaks on another piece of scrap cardboard. Apply white paint streaks as desired. Take all horizontal hearts, red paint, scrap cardboard, and a paper towel. Repeat step above. Next, take the brown paint and repeat the steps above only lightly streak to accent the lines. 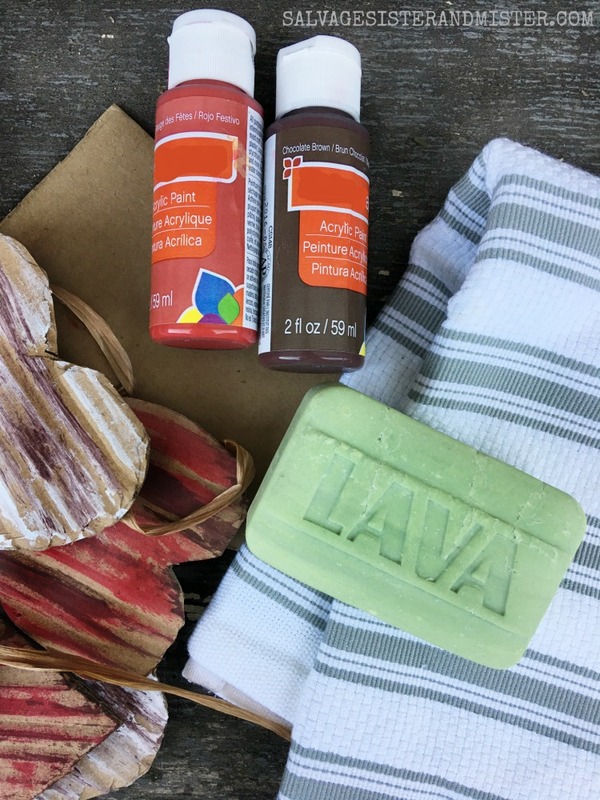 Remove any leftover paint from your hands with lava soap. It contains pumice and it easily removes all the DIY product I throw at it. Plus, it actually makes your hands feel good! Once the hearts are dry, take ribbon and measure out the desired length before the hearts start. I did 12 inches. Using the glue gun, run a line on the back of the heart to glue the ribbon down. I spaced approx. 3 inches between each heart. After the last ribbon is in place, again measure the same length used at the beginning. 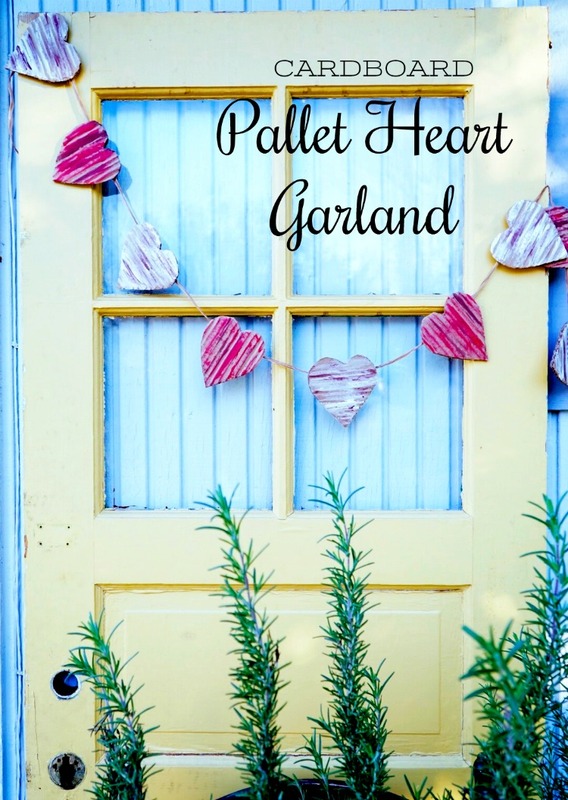 The pallet heart valentine garland took very little time and was free with supplies on hand and upcycling. 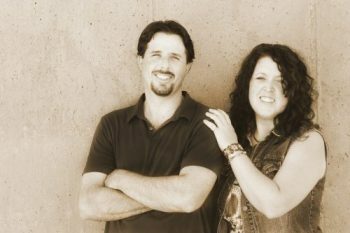 Thanks for stopping by and if you have completed a project be sure to stop on by our Wednesday morning SHARE DAY on Facebook. 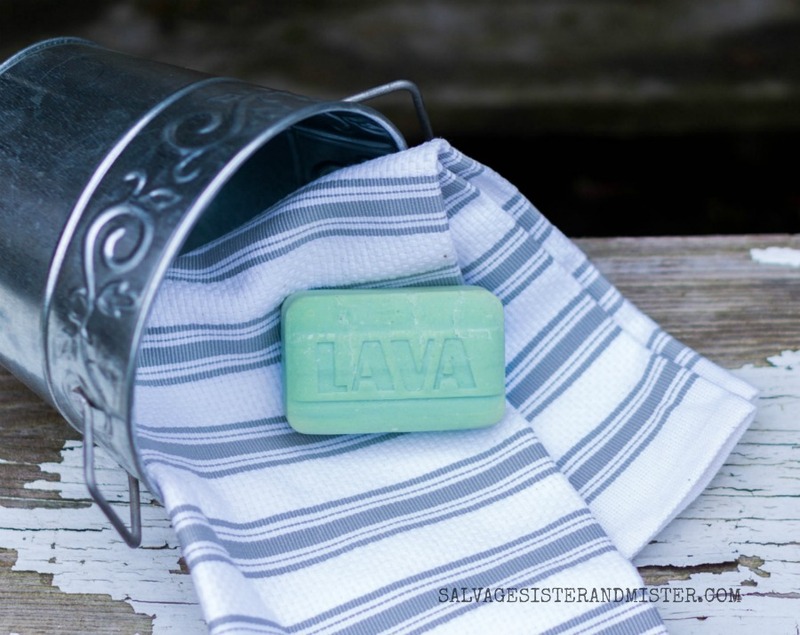 For more DIY and crafting tips, follow Lava Soap’s Facebook Page. This is so cute. Garlands do add a festive touch. What a sweet project! Perfect decor for love day! Thanks Sam. I am a huge sucker for pallet hearts right now so a faux version was right up my alley. I love Valentine’s Day decor too! 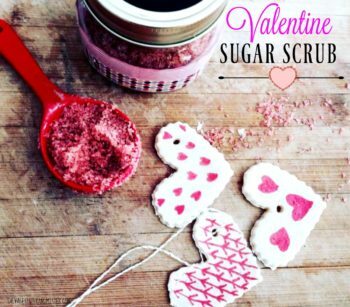 This is fabulous and such a smart way to make something fun and pretty – without spending a penny. How creative of you! This is darling! Saw it on your Waste Not Wed link up, and had to come pin it. So sweet! Thanks Wendi. I’m so glad you are linking up. Did you see I featured your organization tips a couple of weeks ago? Such great ones! Your heart garland looks so sweet, I love the rustic wood effect. How super sweet! I love anything with hearts on it. Perfect for Valentine’s Day! Carolann, Thanks so much. It is super easy to do. I cannot wait to do this, I think I will make garland for St.Patricks day, and Easter, then of course the 4th of July and on lol. We recently bought a new house, and we have a mantel to hang it from! Decorating for holidays are my thing..
Wow, that’s so neat. From far away I would have never guessed that was cardboard. Erlene, It was cheap and cheerful for sure. Plus, I am a sucker for pallet anything. 🙂 Thanks for stopping by! I love your garland project. It’s so simple to make (and with this momma of very busy kids), it’s exactly what I’m looking for. I’m pinning this cute idea for later. Thanks again, friend. Micah, I’m so glad you like it. It was super quick to make so that helps. Hope you get a chance to make one. This is adorable and looks like it would make a great decor craft for me to do with my kids! I’ve even got a perfect box sitting in the recycle bin – now we can reuse it instead!